The forced move was highly unusual because the White House had approved of and supported the use of the space by media who cover the president. HANOI, Vietnam — The White House press corps was evicted from its workspace here Tuesday as a red carpet was rolled out at the same hotel to welcome North Korean leader Kim Jong Un for his nuclear summit with President Donald Trump. The Vietnamese Ministry of Foreign Affairs tweeted Tuesday morning that the reporters who cover Trump would be relocated from their planned staging ground at the Melia Hotel — including a 200-seat ballroom and stand-up spots for broadcast reporters — to an international media center. “You must go now! 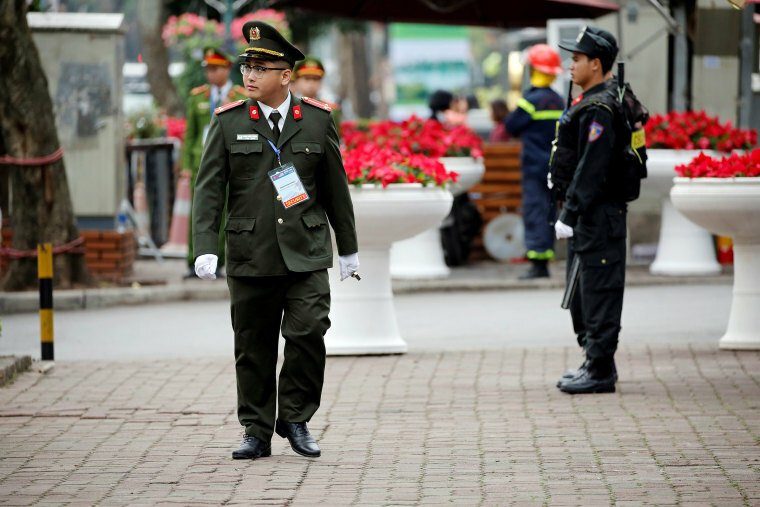 This way,” a Vietnamese security officer barked at members of the press corps in the hotel lobby Tuesday morning. It was not immediately clear who made the decision to boot the White House reporters: North Korea, Vietnam, the U.S. or a combination of those governments. Kim and Trump are meeting this week for the second time in a year to discuss a possible denuclearization of North Korea.